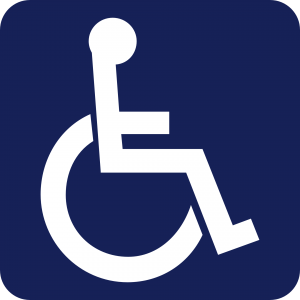 The placards or license plates required to use disability parking spaces are issued by the New Mexico Motor Vehicle Division (MVD). MVD Now issues both permanent and temporary placards, as well as license plates for people with disabilities and for disabled veterans. MVD Now is here to make getting your handicap placard easy and fast. You can self-confirm your disability on the form. You DO NOT need a doctor’s signature to renew a permanent placard. Your placard or placard number. Please Note: Temporary or permanent New Mexico placard handicapped placards will be issued as deemed necessary by a physician. If your placard has been lost, stolen, or damaged, you will need to go in person to one of our MVD Now offices. Self-confirm your disability on the form. Provide your disability placard number. Placards for disabled parking allow you to park in designated handicap parking spaces for easier access to buildings and businesses. Only you can use the permit issued to you. When you park, you must display your placard so that the permit number and expiration date are visible from the front of the car. Hang the New Mexico handicap placard on the rearview mirror. Put it on your dashboard if there is no mirror. Here at MVD Now, we know that going to the DMV can be a pain at times for how long it can take. We’re glad we are able to offer you quick, friendly, and efficient handicap placard services! Schedule an appointment today at one of our 8 locations in Albuquerque and Bernalillo or call us at 505-388-2757 We are close to home or work, for you! Our staff DMV experts are ready to provide you with exceptional customer service. Contact us today!